Recently my husband has cleaned the attic in a small house we have on our land. He has found an old vintage green glass wine bottle there. It’s a pretty old and unusual thing. I love to upcycle things and give them new life, but it seems like this vintage Sovient wine bottle does not need any upcycling. It’s a great kitchen ware item suitable for storing your wine, vinegar or oil as it is. It still has the authentic cork on it. I love it. You may find it in my Etsy recycledcrafting shop. 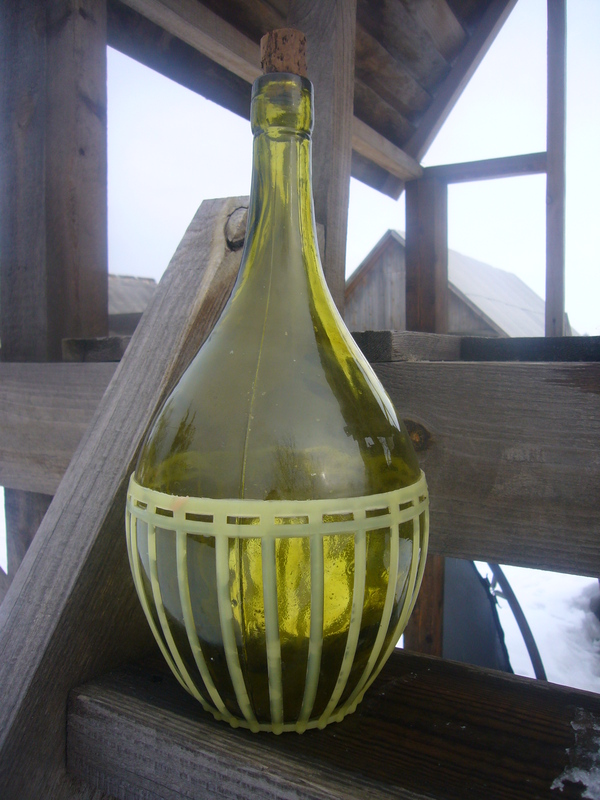 This entry was posted in Go green and tagged cooking oil bottle, kitchenware, old wine bottle, soviet wine bottle, vintage wine bottle. Bookmark the permalink.